No two smiles are quite alike. 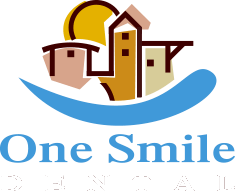 We recognize each patient has unique orthodontic needs and it’s our mission to provide you with the personalized treatment and care you deserve. Orthodontics primarily deals with the diagnosis, prevention, and correction of erroneously positioned teeth and/or jaws. Many of orthodontic treatments can be delivered in the form of fixed or functional appliances such as braces, bands, and archwires. Orthodontic appliances help in the movement of teeth. They are also used when a 3-D movement of the tooth is required in the mouth and multiple tooth movement is necessary. Ceramic fixed appliances can be used which more closely resemble the natural tooth color than the metal brackets.